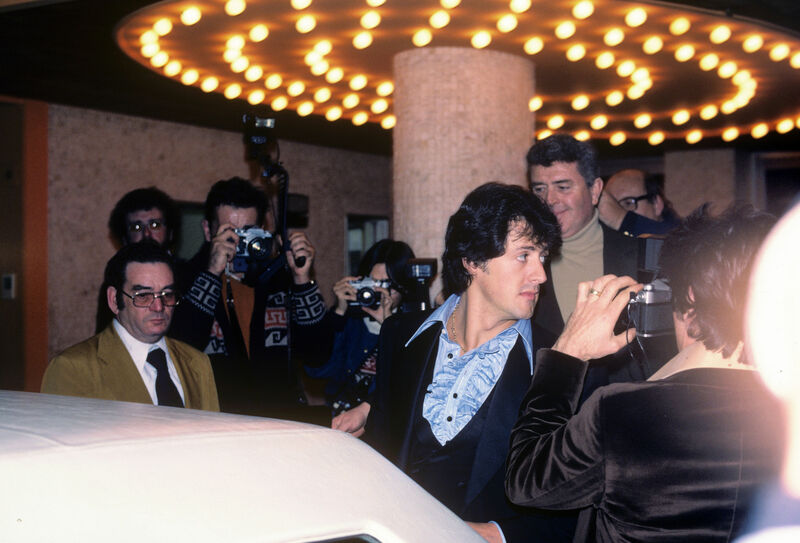 Movie and television premieres might look like glamorous nights on the town, but the stars on the red carpet and everyone behind the scenes put in a lot of work to make them look like so much fun. Case and point: Vivien Leigh was so tuckered out after the three-day Atlanta premiere for Gone with the Wind – which reportedly included a ball, a press conference and a marriage proposal for its leading lady from Laurence Olivier – that she skipped the epic drama’s New York opening. More recent examples may not have ended with wedding bells, but they have been just as lavish. The tropical-themed premiere party for Jurassic World in 2015 at the Ray Dolby Ballroom in Hollywood may have included actual props from the set. But the real draw was star Chris Pratt singing “Margaritaville” on stage with none other than Jimmy Buffett. It caused a viral sensation as guests whipped out their smart phones to grab videos and photos that would give their friends and followers instant FOMO. And it shouldn’t be a surprise that the December 2015 world premiere for Star Wars: The Force Awakens could be seen from a galaxy far, far away. It aired in three theaters along Hollywood Boulevard. Afterward, the nearly 5,000 guests spilled out onto the streets for a 1,500-foot long block party that included – naturally – rotating and glowing light sabers. It caused a viral sensation as guests whipped out their smart phones to grab videos and photos that would give their friends and followers instant FOMO. On the TV front, it’s hard to beat the lavishness of HBO. The premium cable channel often takes over the sprawling lobby of The Hollywood Roosevelt hotel for grandiose fetes celebrating hits like True Blood and Game of Thrones after viewings at nearby TCL Chinese Theatres. The 2016 season six party for Thrones included a henna tattoo station and ale served in tankards. The 2014 party for the final season premiere of True Blood was made to look like quite a lively funeral with wreaths on the walls and a booth that allowed you to design your own tombstone. And rival network Showtime kept it classy for its 2014 season premiere of Liev Schreiber’s Ray Donovan, renting out posh ocean-adjacent sushi spot Nobu Malibu and treating its guests to a fireworks display. Other thematic events have included the 2003 remake of The Italian Job, which featured drivers in Mini Coopers – cars that are used prominently in the film – joining the press lines ahead of the premiere at Paramount. The sportsters were also guests at the after party, which also featured helpings of In-N-Out, a chain with a connection to drag racing. (Cars have been used as gimmicks for several movie premieres, but the stunt only works as well as the jalopy. Just ask actor Aaron Paul. He was supposed to make quite an entrance as he drove up to the 2014 premiere of his movie, Need for Speed, at TCL Chinese Theatres. He did, but not for the right reason: his car overheated). But the best events come with finishing touches. Producer STK thoroughly embraced the movie’s theme for its 2015 celebration of Joel Edgerton’s The Gift, a psycho-thriller about your past catching up to you. Guests attending the could pose for a yearbook shot at the photo booth and were treated to surprise “gifts” circulating throughout the party, be it a bottle of wine or other trinkets. The pièce de résistance? A creepy note from Edgerton’s character waiting for you under your windshield wipers when you got to your car.